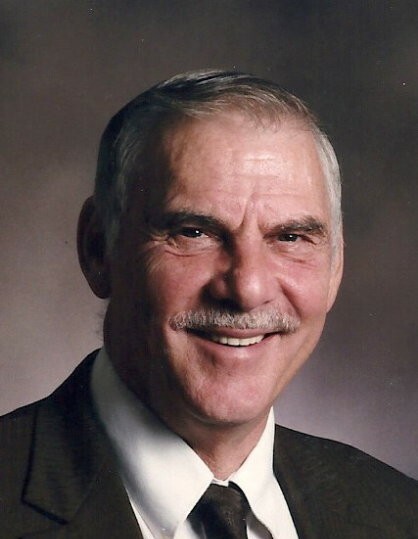 Donald Earl “Speed” Wagner, age 82 of Aberdeen, Ohio, went to be with the Lord Monday, December 3, 2018 at the Villa Georgetown Nursing and Rehabilitation Center. He was a union carpenter, a minister, a member of the Ripley Church of Christ and a missionary to Russia. Mr. Wagner was born August 30, 1936 in Ash Ridge, Ohio the son of the late Velma M. Kratzer Glaze Stevens and George Franklin Glaze I. He was also preceded in death by a daughter-in-law – Terri Wagner; two grandchildren – Joslyn Wagner and Nicholas Moler; two great-grandchildren – Cameron Moler and Autumn Wagner. Mr. Wagner is survived by his loving wife of forty years – Pam Wagner; seven children – Cheryl Carrier (Jeffrey) of Russellville, Ohio, Vanessa Kreimer (Chuck) of Macon, Ohio, Laura Vance (Mike) of Sardinia, Ohio, Joshua Wagner of Hamersville, Ohio, Nancy Mays (Scott) of Sardinia, Ohio Philip Wagner (Barbara) of Florence, Kentucky and Nathan Wagner of Maysville, Kentucky; twenty grandchildren; thirty-two great-grandchildren; two sisters – Judith Cassentino of St. Louis, Missouri and Rebecca Vezina (Jeff Bilsing) of Fayetteville, Ohio; one brother Lance Glaze (Nancy) of Cincinnati, Ohio. Funeral services will be held at 11:00 A.M. Monday, December 10, 2018 at the Ripley Church of Christ in Ripley, Ohio. John Neu will officiate. Visitation will be from 5:00 to 8:00 P.M. Sunday, also at the church. Interment will follow the funeral service in Charter Oak Cemetery in Aberdeen, Ohio.